Price includes RAC warranty, RAC roadside assistance & Full fresh 12 months MOT (0% Finance available on extended RAC warranties). Radio/CD with Steering Wheel Mounted Controls, Electric Windows, Remote Central 'dead' Locking with pare key. Air Bags Front And Side (Passenger Air Bag Can Be Turned Off), ABS, Isofix child seat anchor points, 3X3 Point Rear Seatbelts, ANY INSPECTION MORE THAN WELCOME, HPI & Mileage Checked And Clear, All hand books present including a stamped service history. PART EXCHANGE TO CLEAR, JUST MOT'd, STARTS AND DRIVES. MORE CLEARANCE CARS FOR SALE AND DUE IN. One of Vauxhall's most popular models and for good reasons. The Corsa manages to offer the perfect blend of style, refinement, fun and value for money, ensuring this city car is a tough vehicle to beat. It has a keen sense of itself and offers the right level of practicality while keeping things interesting. 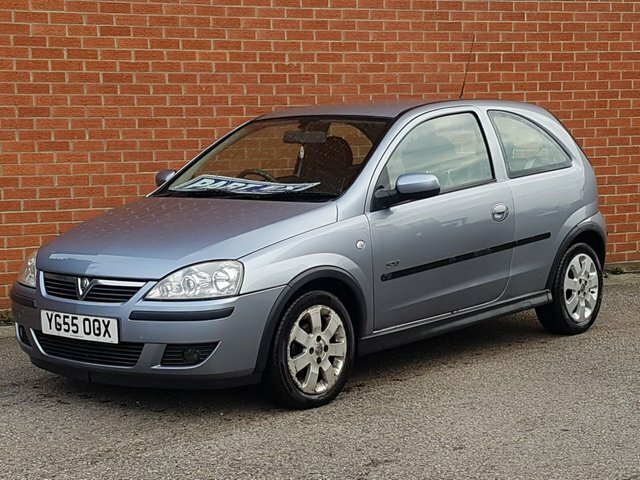 The best way to discover one of the used Vauxhall Corsa models for sale in Gateshead is to get behind the wheel. Contact a member of the team at North East Part Exchange Centre Ltd today and find out how simple it is to test drive one of our pre-owned cars. Start your search here on the website and get in contact with any questions.